No need to be over 21! 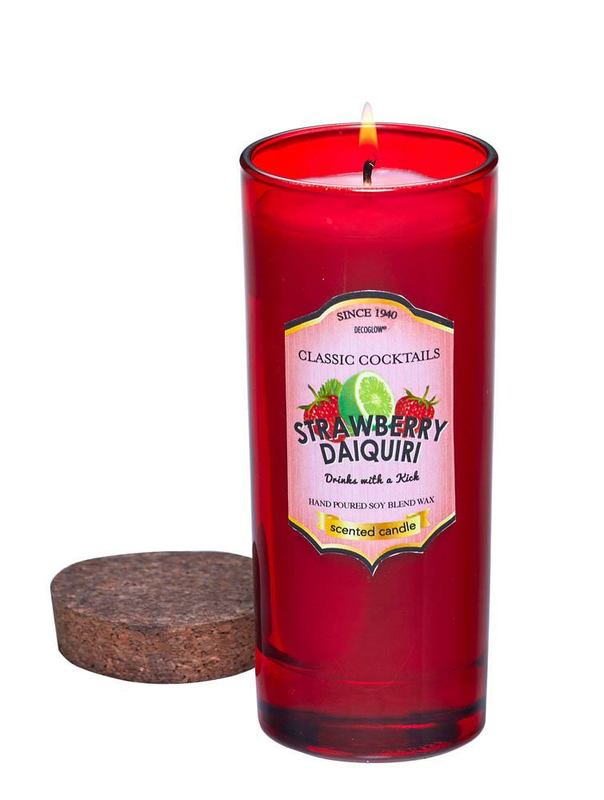 Our strawberry daiquiri-scented Highball Candle, part of our Cocktail Lounge, will delight your nose, not your palate. It might look like the popular drink, since the white candle is wrapped in red glass, but that's where the similarities end. 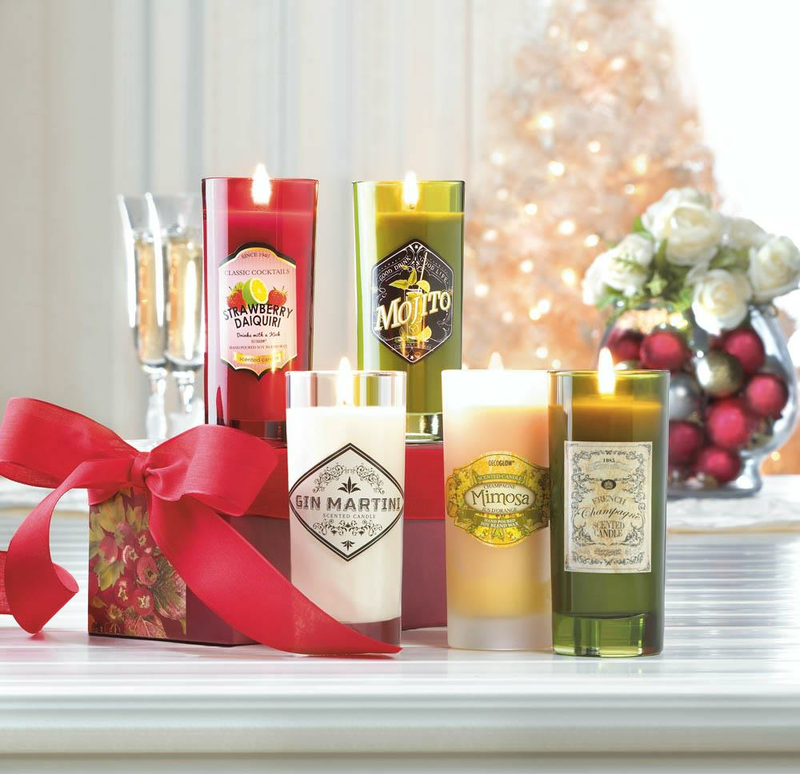 This gorgeous candle is made from hand-poured soy blend wax. 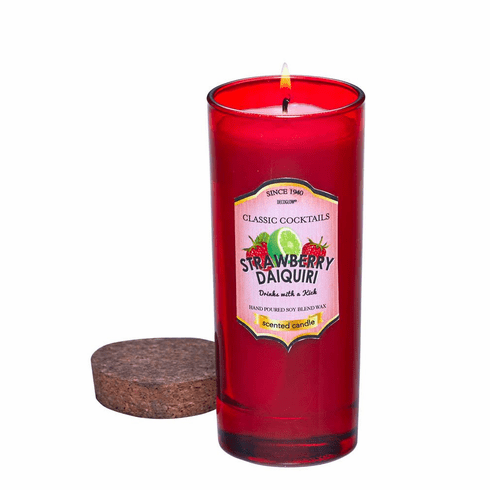 The strawberry daiquiri scent begins with top notes of strawberry, orange, and grapefruit, infused with middle accords of peach, coconut, and a hint of lemon juice, and harmonized with undertones of sweet vanilla and ginger. Cheers to all! Lead and tin free cotton wick. Burn time: 33 Hours. Weight 1 pound. 2.4" x 2.4" x 5.7". 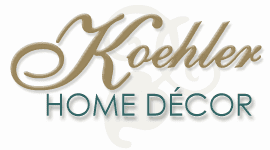 Glass, Soy Blended Wax. UPC Number: 843730063958.